I think it was Snow White who originally coined the term ” A dream is a wish your heart makes”, we all have our list of dreams that come with wanting to improve upon our home and the area around it. These wants don’t have to be put on the back burner, even if you are on a budget. Here at Archadeck we can work along with you to help you plan, design and construct these wants in what we call phased building. The key is you can reach your goal by taking baby steps instead of leaping in head first. We can design a plan around your needs, wants and budget to make room for additions in the future. For example, let’s say the big picture is a lush, romantic backyard with a gazebo, pergola, layers of cottage style landscaping and a relaxing swing attached to “somewhere out there”. We can start with either the largest expense first or the smallest expense first and leave room in the meantime to add structures or details when you are ready. 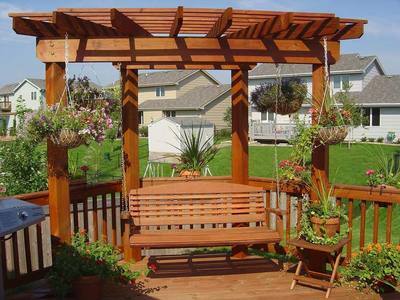 In this example we would suggest a pergola swing. Which would key in on two items on this particular example. 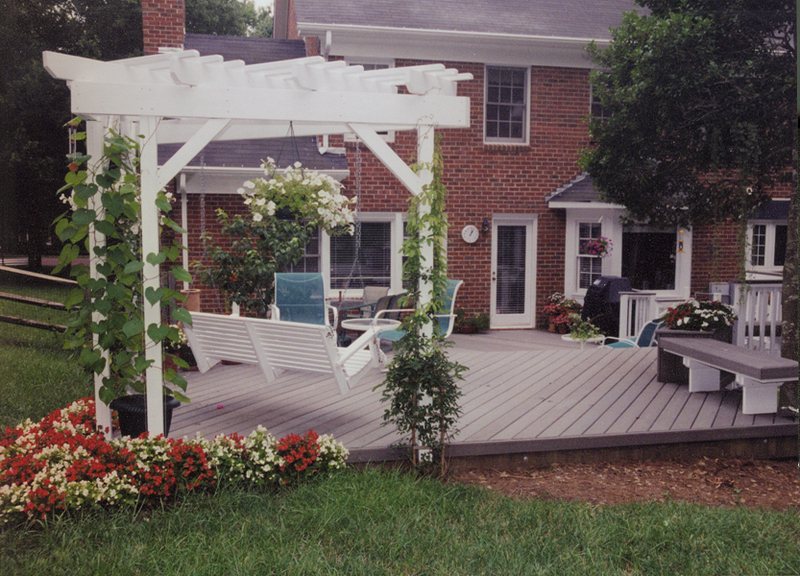 Incorporating the swing and the pergola in the same structure. Pergola swings are a growing trend and are in all the lawn and garden magazines. This structure would be an ideal starting point to help you reach your goal. Pergola swings serve as not only an inviting area to gather and relax they can also be a good area to get in out of the sun. Their designs can be customized to suit any taste and they add romance to any backyard setting. 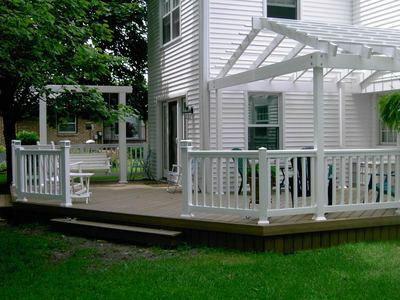 We discourage the use of pre-fabricated pergola swings. Pre-fabricated structures usually don’t stay with you for the long haul, and what looks good on the box or in an advertisement can be very disappointing when you get it home. Leave the important stuff to us, we offer affordability, style and quality construction in everything we build. 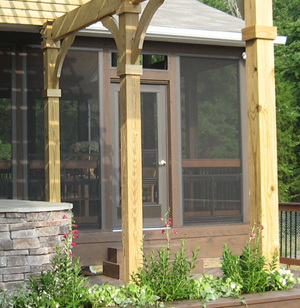 In most cases a custom-built pergola swing structure can be built to last by a professional for close to same amount a pre-fab structure would cost. Remember. a good builder will work with you to tailor a phased plan to meet your needs. Go ahead, plan your dreams and build your backyard the way you have always wanted. Archadeck is with you every beautiful step of the way. Give us call to see just how easy it can be.